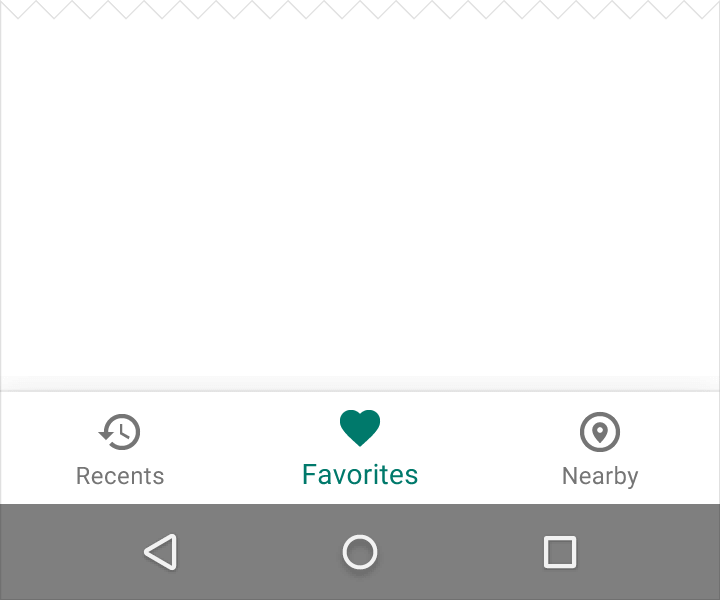 Whether you like the bottom navigation bar or not, it looks like it is here to stay in Android. Today Google updated the Material Design guidelines for app developers, outlining how a bottom navigation bar should be implemented, along with a list of do’s and don’ts on for it. To this point, Android has adhered more to a tab or top menu design but now developers are being told that a bottom navigation is the way to go as it is a better user experience. For those of you who come from iOS (like me), bottom navigation really isn’t something new and in fact some apps already have it. Instagram, for example, uses a bottom menu in their Android app. Google also has it in some of their apps but not all of them. Google+ uses a bottom navigation while Project Fi uses tabs. Even Google is going to have to whip their apps into shape to follow these latest guidelines. as how large the icons in the navigation bar should be on the bar. You can read all the details at this link if you are curious. There will undoubtedly be some in the Android community that will cry out on this one, saying that Google is becoming more like iOS. To be fair though, having uniformity between different platforms isn’t always a bad thing. If you are a user coming from an iPhone to an Android phone, having a familiar navigation system makes the transition easier. That is a good thing for users.